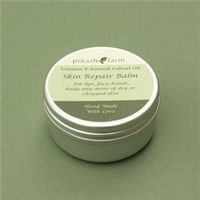 The Kentish Cobnut Oil Skin Repair Balm is rich in Vitamin E, and is ideal for any dry skin conditions for hands, mails, cuticles, lips, face, razor burn, elbows, feet, after DIY or gardening. The balm can be used before outdoor activities to protect the skin from the effects of wind and weather when sailing running, rock climbing, gardening, and more. The balm is very rich, so only a little is needed and goes a long way. The aromatic essential oils are at a low level of concentration int he balm, so it can be safely applied to all areas, including around the eyes. Perfect as a gift for men or women, ideal for everyday general use, and suited to be used as an after shave balm. I just love Repair Balm, I work with the most gorgeous dancing horses,but that means many hours out in all weathers. Repair Balm instantly gets my face feeling moisturised, and calmed. Couldn't be without it. 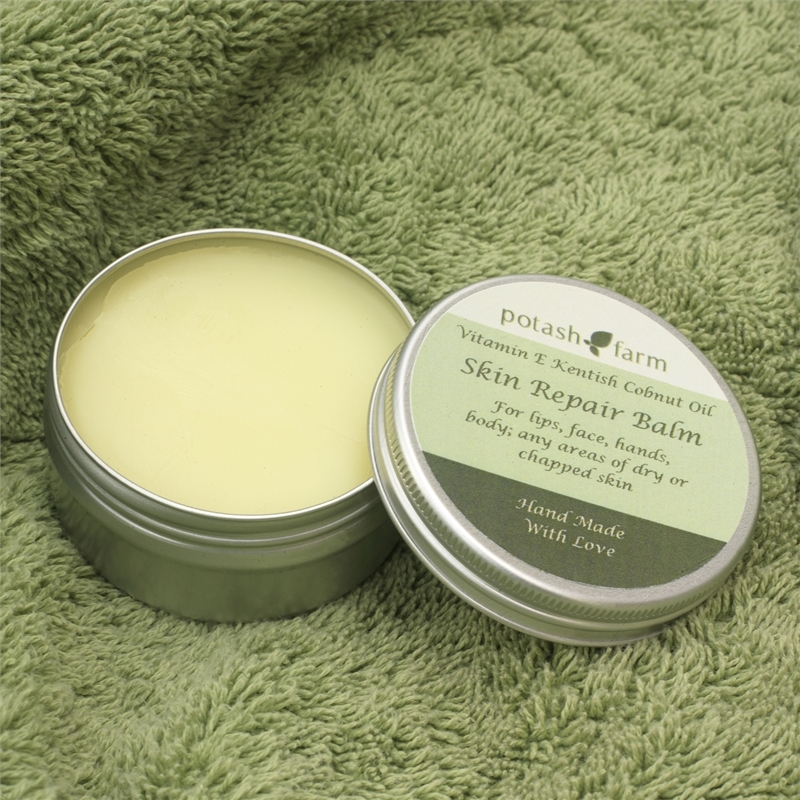 This oil has been produced by Potash Farm and is an excellent natural product to keep your skin in very good condition. This comprises an attractive pack containing our three cosmetics products including the Kentish Cobnut Soap, the Kentish Cobnut Skin Repair Balm and the new Kentish Cobnut Five Oils Facial Skin Care oil.